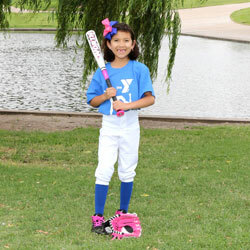 At the Odessa Family Y, our youth sports programs emphasize fun, participation, skills, safety, teamwork, low level competition, fair play, and family involvement. All teams are organized on a neighborhood basis as much as possible and will practice once or twice a week. All practice sites, days, and times for each sport are determined by the coach at the coaches workshop. Game equipment is provided and the rules are modified to accommodate the young athletes. Each player will receive a T-shirt, quality coaching, and playing time in each game. Financial assistance may be available upon request. For athletes ages 13-16. Along with the fundamentals of basketball, this program emphasizes the YMCA character values of caring, honesty, respect, and responsibility. This progressive basketball program keeps ball players active during the district's off season. Games are played at the Odessa Family Y on Friday and Saturday. Basketball is offered in the spring and summer. For boys and girls ages 4–12. This program will introduce your youngster to the great game of flag football while reinforcing the Y’s character values and increasing physical fitness. Games are played at Mike Neely Park (adjacent to the Odessa Family Y) on Saturdays. 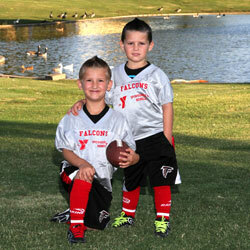 Flag football is currently offered every fall and early spring. For girls ages 4–8. 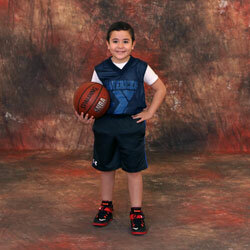 This program teaches basic cheers, chants, jumps, dance routines, and YMCA character values. Game times will vary. Lil Pom-Pom season corresponds with flag football season. For boys and girls ages 4–12. Along with fundamentals of basketball, this program emphasizes the YMCA character values of caring, honesty, respect, and responsibility. Teams are divided into groups based on age. This progressive basketball program focuses on recreation and developing skills for players new to the sport or still learning. Games are played at the Odessa Family Y and can begin as early as 9 am (depending on age division and registrations). League may change to 3-on-3 play depending on number of participants. Basketball season is offered late fall and summer. For boys and girls ages 4-8. This program is designed to teach the fundamentals of baseball. There are 3 outs or 5 runs per inning. Tee-ball is non-competitive and no score is kept. There is a maximum of 12 players per team. All games will be held at Mike Neely Park (adjacent to the Odessa Family Y) on Tuesday, Thursday, and Saturday. All participants are required to have a glove. Tee-ball is offered early summer season. For boys and girls ages 4–12. This non-competitive league focuses on fun, participation, and the YMCA character values as players are taught the fundamentals of soccer. Teams are divided into four age groups: 4–5, 6–7, 8–10, and 11–12 (as of the first game of the season). There is a maximum of 12 players per team. 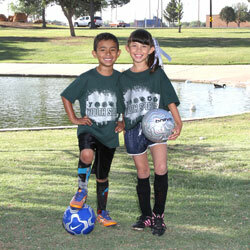 Teams will practice once or twice a week with games on Saturdays at the Odessa Family Y. It is highly recommended that all participants purchase shin guards and wear them at all times. Currently, soccer is offered in the summer.